The books in the series. And there is a fourth book coming. The series follows the story of a teenage girl called Laurel who has been living a fully normal human life, until the day that an enormous blossom sprouts from her back. Then she begins the journey of finding out the truth about herself -she is a fairy- and the magical world that she belongs to. She has a lot to learn and get used to, that's why I believe that this is mainly a story about growth, about a personal journey of discovery, about coming of age. She has a human boyfriend, David, who, in my humble opinion is the ideal guy, so understanding and romantic and always beside her no matter how crazy things get. She also has a fairy boy, called Tamani, who becomes her guide in this new fairy world she has to explore. He also wants to become her love interest, but in the first book at least, that reads like an unwelcome and immature interruption to Laurel and David's loving relationship. This rather contrived triangle is the main reason I haven't reviewed this series until now, although the first book, Wings, is on my top favorites shelf. 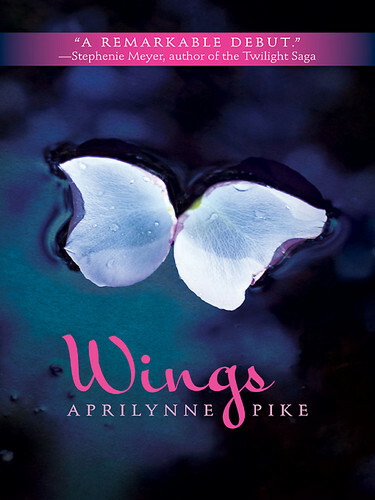 The reason that I love this first book, Wings so much, is not that the writing is good -which it is- or that the characters and the fairy world are so well developed -which, they are. It is not even that Laurel and David have one of the most tender and unique relationships I have ever read in YA fiction, not based on physical attraction or kisses, but on understanding and standing by each other. On sharing and talking. This was my second reason for loving this book. The first reason, however, has to do with the very difficult and modern theme of acceptance. It seemed to me, while I was reading th book, that when Laurel sprouted wings, or petals from her back, that that same thing happens to all teenagers, sooner or later. The don't sprout wings, of course, but they develop acne, or they shoot up suddenly taller than everyone else, or their body changes and becomes awkward. Or they fall in love, or discover the evil in the world around them, and everything is different. I think we all go through a similar phase, some of us much more painful. I rememder the night I cried myself to sleep, and for the first time it wasn't because I wanted a new toy they hadn't been able to buy me or something so childish, but because I felt that "no one could understand me." Most of us have to go through this phase alone, and so does Laurel, facing a problem that she can't expect anyone to understand. Not her parents, not her best friend, not even Tamani, who, being a fairy himself for so long, is rather impatient with her reluctance to acceot herself. She tried to hide the changes in her body, her questions, her fear. And then comes my favorite part. It may have been anyone in your life, your mom, your grandmother, your dad, your best friend. One person can see you. Only one, but it makes all the difference in the world for you. In this story, it was David, her boyfriend, who was able to see she was miserable and force the truth out of her. He didn't know exactly what to do to help her, but he was there for her. He was freaked out as much as she was, but he accepted her as she was. That's what I love about this book. If even one person reading it, gets that message, especially a teen, it would be amazing. And then, there is that scene at the costume dance, which I won't spoil for those who haven't read the book, but it moved me deeply. It was the first time Laurel openly accepted who she was, and was not embarrased or afraid of others noticing. I loved the message that conveys. As for the rest, the book is full of action and romance, and creates many questions that are to be answered in the next book. 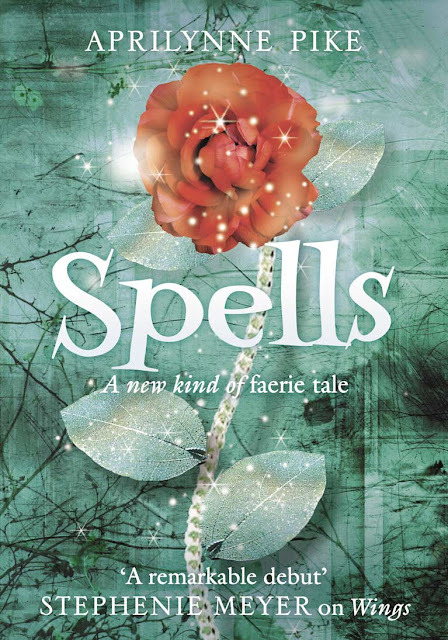 Spells is the obligatory middle book in the series, where the fantasy world is described in detail and the also obligatory "triangle" (ugh!) is exlored and exploded. This book I found rather boring, and skipped a few pages, mostly because I found excessive world-building boring and also because I was rather disgusted at the totally nonsensical (and unnecessary) triangle. 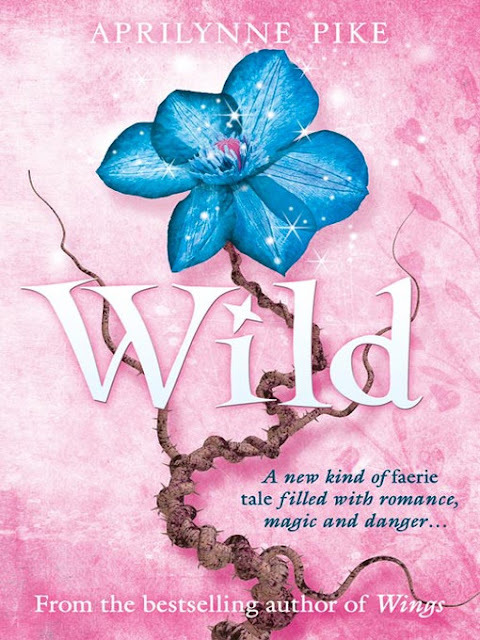 Wild (or Illusions) seems to be draggind a bit, and maybe it could have been the last book in the series, except for the bid cliffhanger at the end. I am not a very huge fan of cliffhangers, especially those who seem contrived, but it was rather intriguing and also, I understand that the author has gone to so much trouble to create this world, she can't abandon it so soon. More romance and more action in this book, where the characters develop and mature (or, in Tamani's case, the reverse), but all in all I am rather satisfied with Laurel's progress. She is a heroine. Flawed, and sometimes faulty, immature even, but always willing to learn and to sacrifice.